Tav Enjoy exercise. Proud Goodgym Colchester Trainer. Love Goodgym, helping, parkrun and spurs! Volunteered around the world! James 'Tav' Taverner is our new Colchester Trainer who used to be a committed Run Leader and all round GoodGym enthusiast. 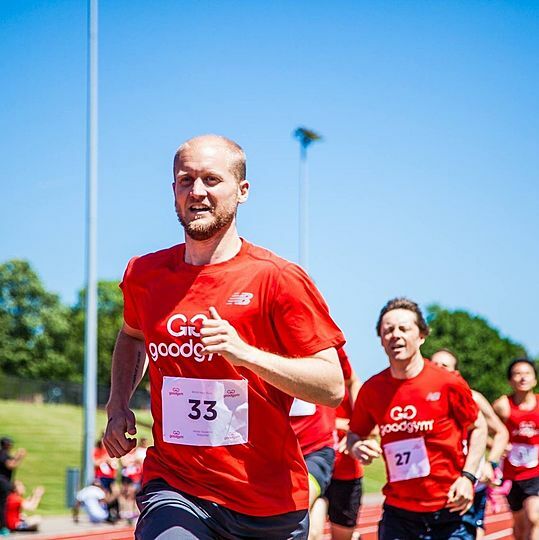 Since he joined GoodGym back in August 2016, he's led many GoodGym Colchester runs, raced in a red vest and had a lot of adventures in the process. Here, at Goodgym, I am known as “Tav 1” but just Tav will suffice. I live and work in Colchester, the jewel of Essex but was born in Luton and was lucky enough to have lived in Germany and Hong Kong by the age of 12. I have a degree in Sport Studies and another in Social Work. So you could say GoodGym brings my two fields together? Outside of my day job, I exercise, run, watch sport, travel and spend time with my nephew. A few people had mentioned GoodGym to me and so I went along and didn’t look back! Exercise and being helpful is something I try to do generally so GoodGym fits the bill perfectly. I love meeting new people and learning from them and GoodGym runners have a wealth of knowledge and life experience. I feel that having a social conscience and backing that up with actions is a very powerful heart-warming feeling as well as a positive message to others. In 2013, I quit football after a metatarsal injury and began running half marathons and 10 k races. When I first joined GoodGym, my first half marathon was just under 2 hours and my PB now is 1hour 27. I am sure I will get more PB’s in the red vest. Helping people get fit and do good means a lot to me and it feels like I am using my Sports degree at last! In Colchester, we enjoy running with runners of all abilities and will help you achieve whatever goal you have. GoodGym is the perfect break to my working week. On a Wednesday our group runs are always fun and productive, on a weekend we usually meet at Parkrun or various races. A little bit of GoodGym tourism means I've also completed a mission in Wandsworth and attended the Goodgym Olympics. 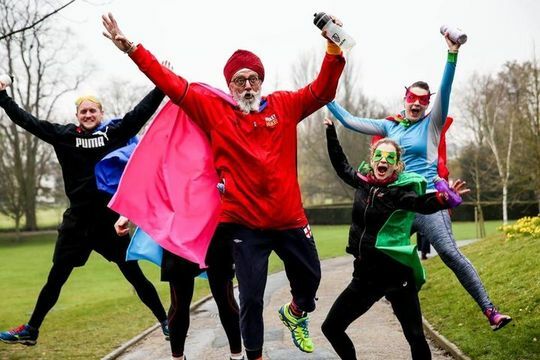 I am part of the GoodGym race team, in March I helped organise GoodGym involvement in the Colchester Half Marathon ‘Big Six’ race, which was an epic day. GoodGym Colchester are my team, my friends and my running family. We have a great social element and let our hair down (yes I know I have no hair) regularly. The banter is hilarious and the appreciation of the people we help around Colchester is great. Random people have stopped and thanked us for litter picking and our friends at the Foodbank, Emmaus, Colchester in Bloom, St Leonards Church and Firstsite art gallery seem to love our help and think we are crazy. I feel like I am part of something that is big, growing, evolving and so important.